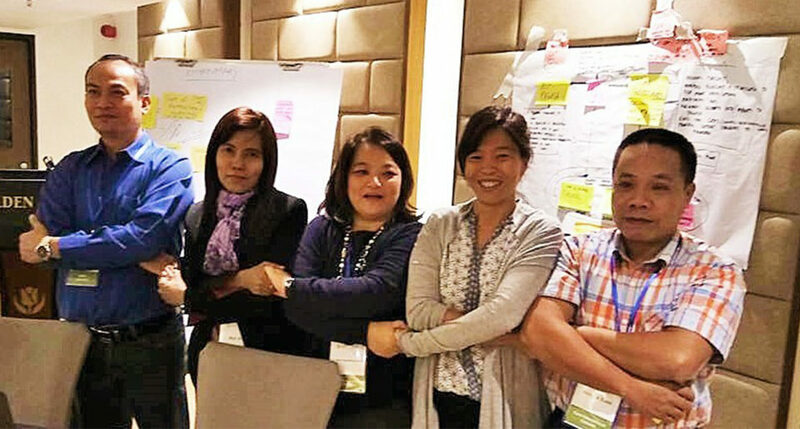 DHAKA, Bangladesh – Climate information services (CIS) aids policymakers in making informed decisions to address risks and opportunities arising from climate change. Likewise, it has become a necessary component in the daily lives of farmers who depend on agriculture to support their livelihood. However, one of the key challenges is to ensure that farming communities are involved in the participatory development of appropriate climate information and extension messaging. 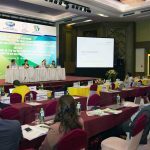 This issue was discussed at the Participatory and Institutional Approaches to Agricultural Climate Services Development: A South and Southeast Asia Regional Technical and Learning Exchange at the Golden Tulip Hotel, in Dhaka, Bangladesh from September 17-19, 2017. Organized by the Climate Services for Resilient Development (CSRD), and supported by the U.S. Agency for International Development (USAID) and in collaboration with the International Maize and Wheat Improvement Center (CIMMYT), the workshop aimed to exchange ideas, stories, strategies, and to network with organizations to support the growth of farmer-focused and relevant agricultural climate services in the regions. 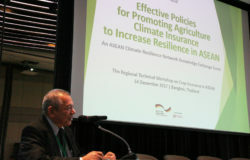 ASEAN Climate Resilience Network (ASEAN-CRN) – represented by Indonesia, Myanmar, Philippines, and Vietnam – participated in the event and formed a wider network by sharing its experiences in collectively promoting climate resiliency in the region with its South Asian counterparts on the topic of CIS for agriculture. 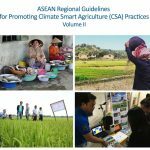 Along with climate smart agriculture (CSA) practices such as agriculture climate insurance, and the use of stress-tolerant varieties, policymakers from ASEAN member states have identified CIS as a practice of high priority to help farmers address the impacts of climate change. 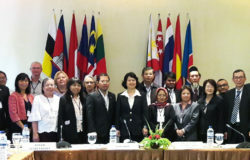 And as a platform for promoting climate resiliency through exchange of information, expertise, and experiences on CSA among member states, ASEAN-CRN shared its work and experiences as a success story in facilitating the conduct of regional knowledge exchange events and South-South cooperation on CIS, for instance between Indonesia and Laos, to work together as a region and strengthen the stakeholders’ capacities to develop effective CIS for agriculture and ultimately increase the resilience of agriculture sector to climate change. ASEAN-CRN is established to ensure that ASEAN member states are in a better position to adapt their agriculture sector to climate change and optimize its mitigation potential. 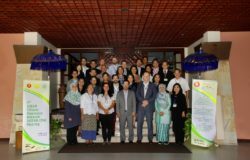 ASEAN-CRN is being supported by the Forestry and Climate Change Project (FOR-CC) under the ASEAN-German Programme on Response to Climate Change in Agriculture and Forestry (GAP-CC), which is funded by the German Federal Ministry for Economic Cooperation and Development and implemented by Deutsche Gesellschaft für Internationale Zusammenarbeit (GIZ) GmbH in close cooperation with the ASEAN Secretariat (ASEC).